We are at Nalen in Stockholm today, for the Game Industry Career Fair! Entrance is free, so swing by out booth and have a chat! 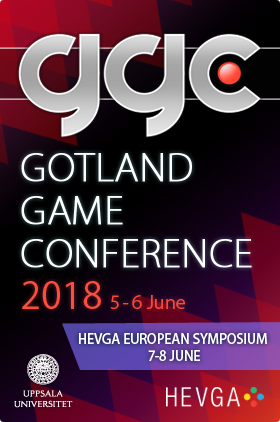 We’re going to hand out a few tickets for the Gotland Game Conference (including ferry tickets). You simply need to come buy and pick up the secret password, and then fill in this form. The submission form is now closed and the winners have been announced. Big thanks to everyone who turned up – it was great meeting you all!